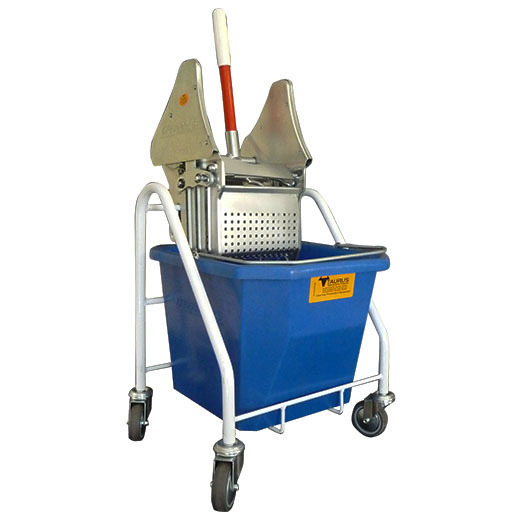 Single 25L bucket mopping trolley with heavy duty wringer. The single bucket mopping trolley consists of a sturdy mopping frame with castors, detachable wringer, one 25 L bucket. The heavy duty wringer squeezes most of the water from the wet mop reducing the floor drying time. This single system is more compact and easier to manoeuvre in small spaces.